You can now print tags directly from the LX Pro app on your phone. The Print Tag button is at the bottom of the Part Detail screen (directly under the Edit Part button). Tapping the Print Tag button will send the tag to your default printer, and you will receive the message: “Print Job Sent! 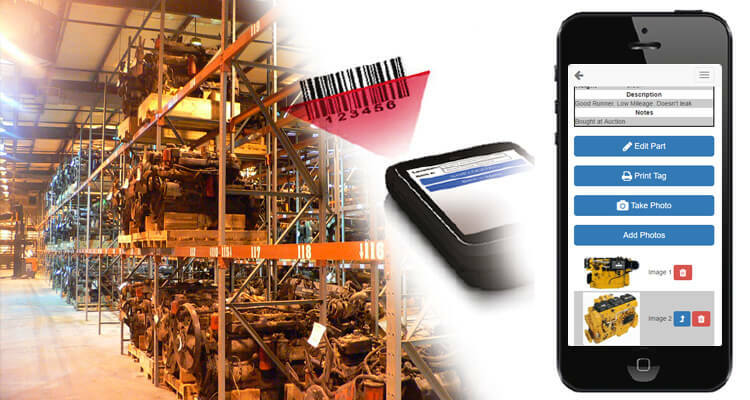 The tag should be coming out of the printer shortly.” As always, you can scan an existing barcode in the Part Detail screen, or you can search through your list of parts in Part Search. NOTE: Currently, you cannot select a printer from within the app. If your default printer is not a tag printer, make the tag printer your default first and then print from the app. You can reset your default after your tags are printed.